We are world's prominent manufacturer of high-intensity, high-gradient, permanent magnetic destoner with the indigenous technology which has been used successfully in industrial minerals applications. 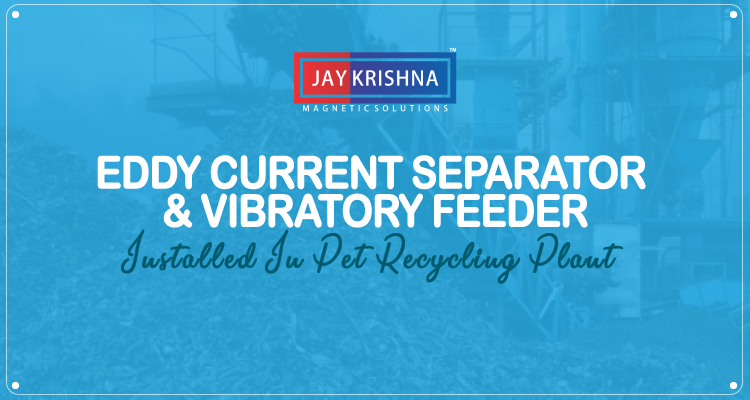 We develop a wide area of applications of the Magnetic Separators and it is also available in varying dimensions as per customers requirements. 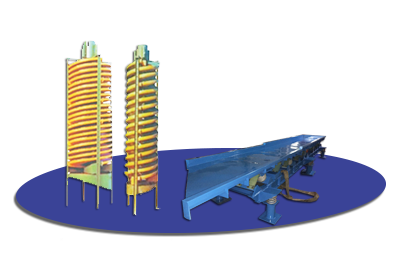 We are world's prominent manufacturer of Eddy Current Separator. 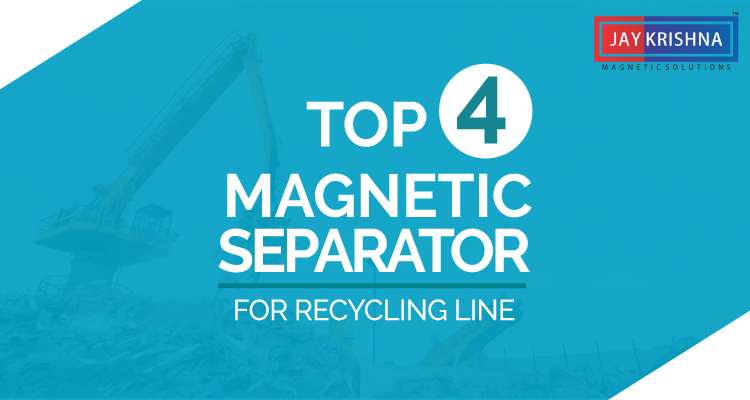 The eddy current separators are designed with top grade rare earth magnets to remove non-ferrous particles such as copper and aluminium. The eddy currents, in turn, generate magnetic fields whose flux are opposed to the fields generating them, thus causing repulsive forces which discharge nonferrous metals out of the material flow. We are prominent manufacturer of vibratory screening machine, it is designed for the use in sizing of minerals, ceramics, refractories and other powders. The principle on which the multi-form grader operates is equally adaptable for the handling of many ceramic products. We are leading manufacturer of vibratory motor which is used as the drive for vibrating machine for bin discharging products feeding, screening etc. Different type of material can be handled such as minerals, refractories, dyes, chemicals, intermediates, food products etc. Our vibration motors are available in 3000, 1440, 980 & 750 RPM and from 1HP to 5HP. 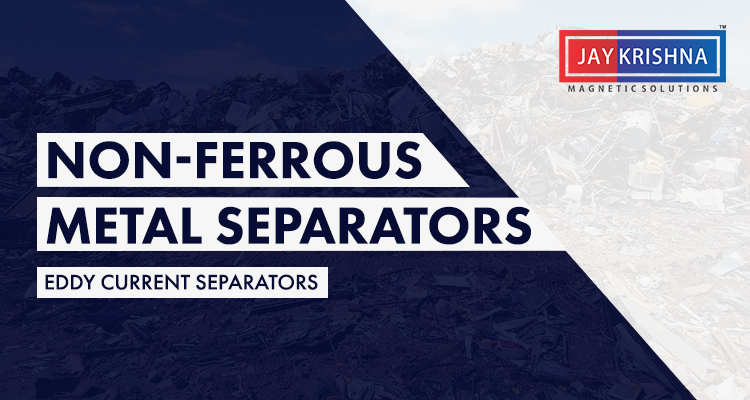 Permanent Magnetic Separators are designed to separate ferrous materials from non-ferrous substances has a wide range of application. Our extensive range of equipment meets growing industry demands. Crafted with expertise our Electromagnetic Equipments has gained global recognition for their strength, reliability and durability. Experience the ease of use in all our Electromagnetic Equipments. 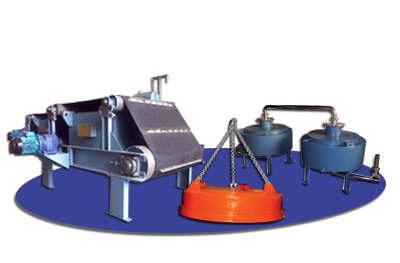 Going by industry standards and requirements a wide assortment of Vibratory Equipments are available. Take advantage of our abilities and pick the one that best suites your requirement. 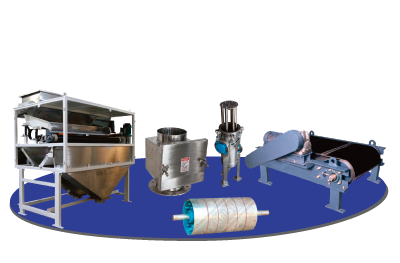 Owing to ever increasing demand of Mineral Processing Equipments, we manufacture Mineral Processing Equipments of unmatched quality and product range. Welcome to Jaykrishna Magnetics Pvt. 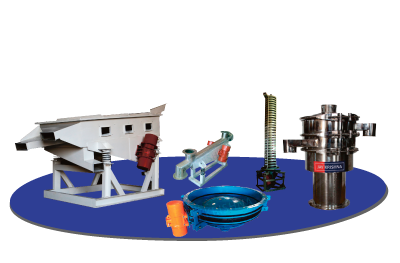 Ltd.
We are the leading manufacturer of magnetic separators and equipments, vibratory equipments, electromagnetic equipments, mineral processing equipments in India since 1978. Welcome to the world of Magnetic Solutions, we are the only complete magnetic solution in India. We engineer, design, manufacture and supply magnetic machinery for many different applications. We are committed to worldwide excellence with a complete range of machinery to support core markets which are the following: Steel Industries, Cement Industries, Recycling Industries, Material Handling Industries, Chemical Industries, Mineral Processing Industries, Mineral Processing, Food Processing and Ceramic Industries. With a rock solid foundation, a formidable past, and a spirit charged with a vision of endless possibilities; Jaykrishna Magnetic Solution has positioned itself as an all-around performer. With more than 100 satisfied corporate clients all around the world, the company today is well entrenched in India and accelerates its success by consistently living up to its commitments. Jaykrishna Magnetics Pvt. Ltd. has a history of product excellence and technology innovation providing the highest-quality and most reliable products and services to worldwide customers since 1978. We have set down for ourselves a set of objectives that have always guided us give a better performance. To provide the timely of delivery of products whose performance and appearance are in accordance with our tradition of high manufacturing standards. To provide pro-active solution that enables companies to meet their business goals more effectively. To provide excellent quality, customer delight and after sales service. Striving to be the world’s leader in Magnetic Separators and Equipments Manufacturing. To be the company of values that understand their client and satisfy by products quality and service globally. We believe in developing world class products. 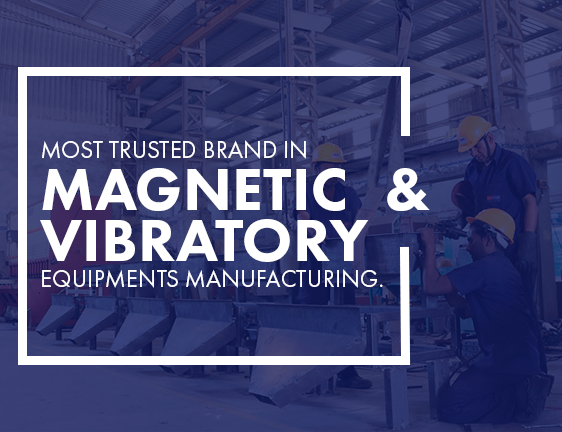 While developing various products for our clients, we are committed to provide magnetics and vibratory equipments of the highest quality. We strictly follow our quality policy to give you an enhanced experience and thus achieve 100% customer satisfaction. We strongly understand that to have a high-quality products, we need strong infrastructure and development process geared with the latest technology, so we have machines for Metal forming, Cutting, Welding, Casting, Sintering, Pressing, Extrusion, and Calendering. A family business with 39 years of leadership experience and knowledge in the Magnetic Separators and Equipments Manufacturing Industry.